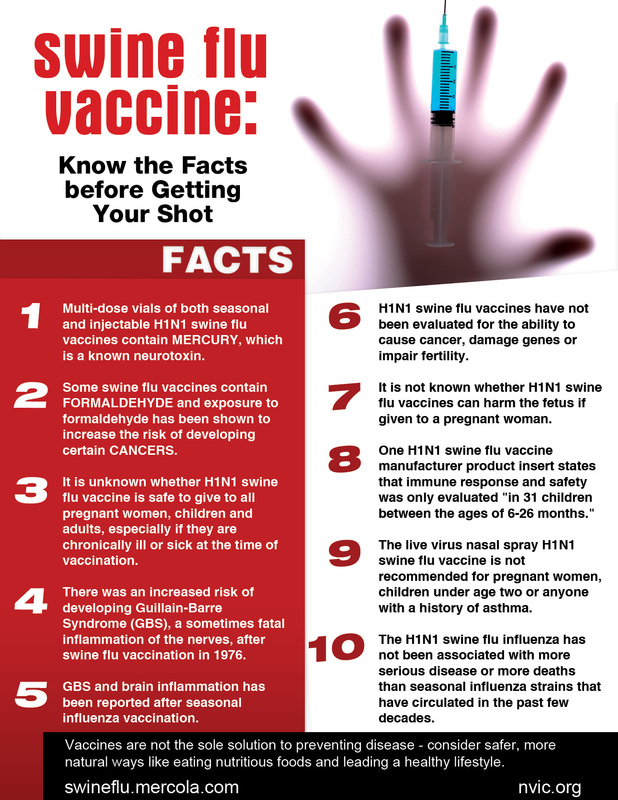 There are numerous reasons why we can safely conclude that swine flu vaccines against the H1N1 virus do more harm than good. As mentioned in “Bild“, Doctor Wolfgang Wodarg, who is the chairman of the health committee of the German parliament, has serious doubts about these vaccines, which contains cancerous cells from animals. All over the world people are asking questions why we are supposed to get vaccinations against a flu that is at the same time less dangerous than the “normal” yearly seasonal flu. So many cases report of people getting sick just after receiving a flu vaccine shot. Big pharma industries are getting very rich form selling millions of flu vaccines to governments. A lot of medical personnel refuse to take vaccines. More and more medical doctors are asking questions about injecting people with swine flu vaccines. In 1976, the swine flu vaccination program killed more people than the flu itself. It turned out that it can cause Guillain-Barre Syndrome (GBS), a brain disorder. The US government had to pay out millions to the victims. Responsibilities of pharma industries are taken down for “pandemic” reasons. The lists of ingredients in swine flu vaccines are scaring, poisonous. It appears to be very difficult to prove whether health problems are caused by vaccines or not. What are your thoughts about swine flu vaccines? Do you have any experiences with flu vaccine effects on your own or your children’s health? Or with natural remedies?